Though there has been steady progress in improving school enrollment, learning levels remain low. In 2008, 45 percent of children in rural India in standards three to five could not do subtraction and 33 percent could not read a standard one text. Researchers partnered with Pratham, an educational NGO, to evaluate the impact of their “Read India” program and its components, which include teacher training, monitoring, learning materials, and village volunteers, on educational attainment. Preliminary results suggest the program had a modest impact on overall reading levels in the villages where camps were held, but a much larger impact on the subgroup of children that actually attended the camps. Though there has been steady progress in enrollment, including girls and members of poorer groups, problems of intermittent school attendance and school quality remain pervasive in the developing world. Previous studies showed that volunteers trained in remedial learning and NGO supported remedial teachers were effective in improving learning levels. But the potential to scale the results would be expanded if the same approach could be delivered through government schools using existing teachers. However, it is not clear whether, given a teacher who is unmotivated and lacking incentives and accountability, this approach will work. The ills of India's educational system are felt most acutely by the poor, especially in rural areas, where the vast majority still attend government-run public schools. Pratham, an educational NGO, has since 2005 produced an Annual Status of Education Report (ASER), which involves a short educational test administered to a large and representative sample of rural children in India. The report has shown large deficits in basic reading and math capabilities. For example, according to ASER 2008, 45 percent of children in standards three to five cannot do subtraction and 33 percent cannot read a standard one text. There have been a variety of responses to this problem. The Central government began a major initiative, the Sarva Shiksha Abhiyan (SSA), in 2001 to provide additional resources and support to state-level education systems to push for universal elementary education by 2010. 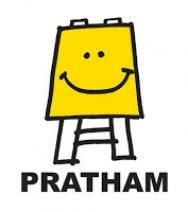 Complementing this push, Pratham has been developing new reading materials and teaching methods that are designed to be more accessible and effective in current conditions in India's education system. These methods lie at the center of its nation-wide effort, Read India, whose objective is to teach children basic reading and math skills, thus improving learning levels. Pratham, together with researchers, has evaluated the Read India program over several years in Bihar and Uttarakhand, where they have partnered with the local governments. This evaluation examines three major elements: (1) Pratham's training and academic support to government school teachers, (2) Pratham's specially designed learning materials that are used in schools and in the villages, and (3) village volunteers' supplementary effort to support children who need extra help. The training and monitoring is done in collaboration with the state governments, and the materials have been created using input from teachers and others in the field. Bihar: There are three intervention groups and one comparison group in Bihar. In the first intervention, a randomly selected subset of schools receive teacher training, monitoring, academic support and materials. In the catchment area of these schools, Pratham also recruits village volunteers (who are not paid) to assist in providing extra instruction to children who need extra help. The second intervention involves another randomly selected subset of schools where the teachers are given training, monitoring, academic support and materials but there are no volunteers. In the third intervention, the schools only receive materials. All of these are compared to a comparison group, which receives nothing. Uttarakhand: This intervention differs from the one in Bihar in that there will be no teachers or schools receiving only materials, so that those villages selected to receive the treatment will receive both the materials and teacher training. Similarly to Bihar, of the schools receiving the treatment, about half will also have volunteers. The nature of the volunteer activity also differs between the two states. In Bihar, the volunteers work in the community outside of school hours but in Uttarakhand, volunteers work in the schools during school hours. The interventions are administered jointly by Pratham and the state government over two school years (2008-2009 and 2009-2010). Three large scale surveys are planned, one baseline, a midline after one school year and an endline survey after two school years. In addition, a special survey of about half the children was undertaken in Bihar to evaluate a summer camp that was implemented at the beginning of the first school year. The camp targeted girls and low-performing children in standards three to five and aimed to help children who had fallen behind academically to catch up before the regular school year began in July. These surveys are being complemented by ongoing monitoring of the intervention's implementation within the schools. The learning levels will be measured using testing tools that include the ASER testing tools and other instruments that have been specially developed for the project. The Read India evaluation is currently in its final academic year so it is not yet possible to measure the impacts of the intervention. Preliminary analysis from the summer camps held in Bihar suggests there was a modest, significant impact on overall reading levels in the villages, but a much larger impact on the subgroup of children that actually attended the camps. This indicates that if the targeting of low-performing students had been more effective, the measured impact of the summer camp on all children would likely have been greater. But given that the summer camps were organized quickly and in one of the poorest states of India, the positive impact of the summer camps is judged to be noteworthy. Banerjee,Abhijit, Rukmini Banerji, James Berry, Esther Duflo, Harini Kannan, Shobhini Mukerji, Marc Shotland, and Michael Walton. "Mainstreaming an Effective Intervention: Evidence from Randomized Evaluations of “Teaching at the Right Level” in India." Working Paper August 2016. How do you scale spirit?